Pictured left, Kindergarten student Oliver Templar stuns the crowd and Titan we when he announces that he wants to be a paleontologist when he grows up. Pictured right, AES Teacher Mr. Jones along with Jacob Kostelak and Joseph Jolly helped to demonstrate the things that can interfere with reaching a goal like Oliver’s. 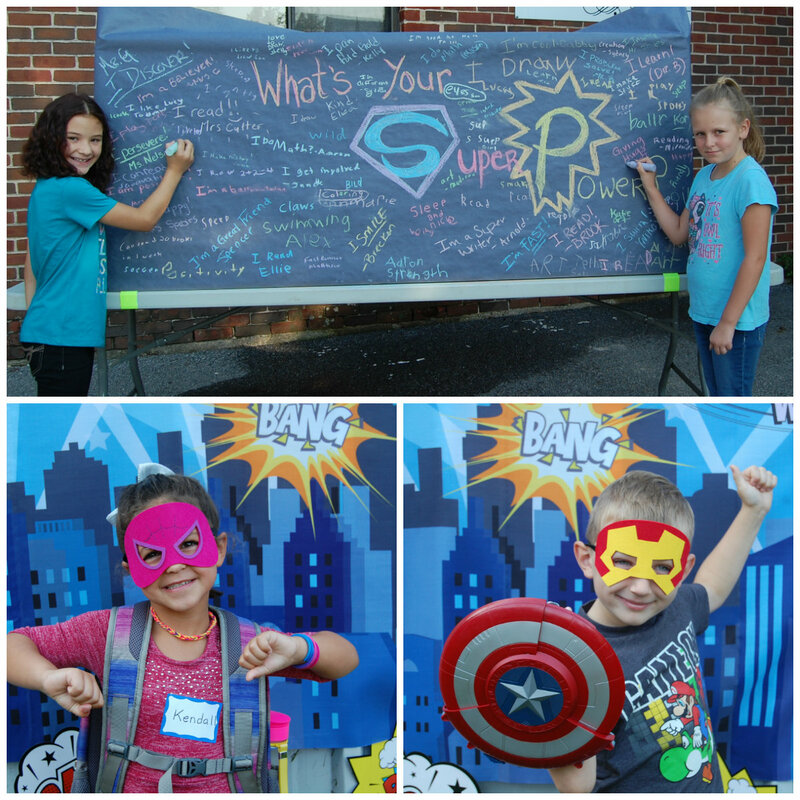 During a recent super hero themed school-wide presentation, Ashland Elementary School students were encouraged to “Be the H.E.R.O. in You!” by Helping Everyone Respect Others. 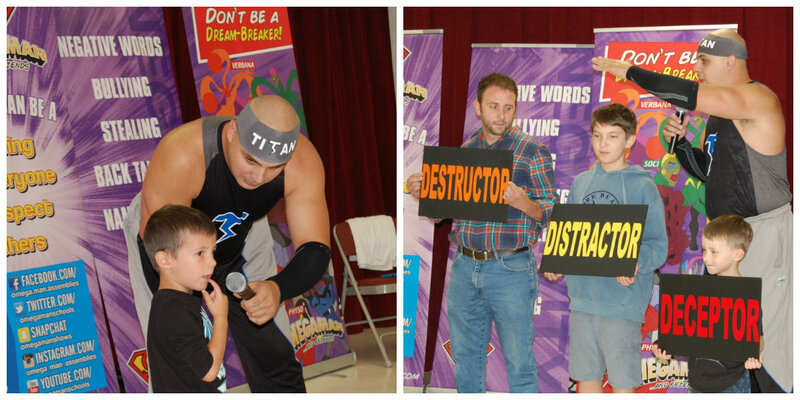 Guest speaker, Titan (Joe Johnson), from The Omegaman and Friends program, is a world class Superhero who travels all around the nation, telling young people to be a Dream Maker and not a Dream Breaker. In his presentation, he bends a steel rod with his teeth and tears a phone book in half with his bare hands to demonstrate some of his key motivational points. The program works to tackle issues such as bullying, peer pressure and good decision making and also challenges students to create positive habits early in life. Omegaman and Friends Character Development Assembly Coming to AES on September 28th. as they begin their own Hero's journey into the adventurous world of learning. The mission of Ashland Elementary School is to prepare today's learner for tomorrow's world.